Russian businessmen paying kickbacks to the third world can no longer expect such bribes to be tax-deductible. 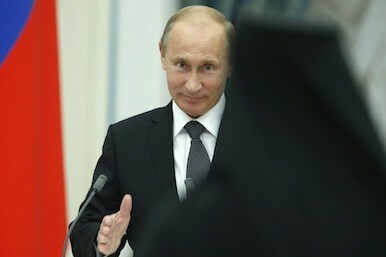 From now on, they will need to stump up the usual 20% tax rate, according to Russian news reports. Arms exports and commodity companies are thought most likely to be hit by the ruling - though behaviour could be slow to filter through. Russia has signed up to the Anti-Bribery Convention though anti-corruption campaigners like Transparency International continue to warn that Russian businessmen are still more likely to make bribes, undermining international trade competition. "Acts of bribery or corruption," says Mitch Young, tax manager at Lerman Jacobs Davis, "are designed to influence an individual in the performance of their duty and incline them to act in a way that a reasonable person would consider to be dishonest in the circumstances. Bribes are not always a matter of handing over cash." Gifts, hospitality and entertainment can also be bribes. Young says the UK Bribery Act has seen a gradual decrease in companies expenditure on client gifts and hospitality, "so people are paying attention to the new bribery act." Whether the Russians will name and shame though, like HMRC, remains unclear. Last year Transparency International ranked 28 leading international and regional exporting countries by bribery behaviour. Companies from Russia and China, who invested US $120 billion overseas in 2012, were seen as most likely to pay bribes abroad. Companies from the Netherlands and Switzerland were seen as least likely to bribe while the UK was ranked 8th in the Index. The oil and gas sectors are especially prone to bribery. Shift away from the (politically loaded) natural resources sector and bribery is less of an issue for Russian companies, and those that trade with them. Perhaps to the detriment of British companies. Remove the British oil and gas investment interest and British Russian investment is surprisingly slender compared with the likes of German and Italian investment.